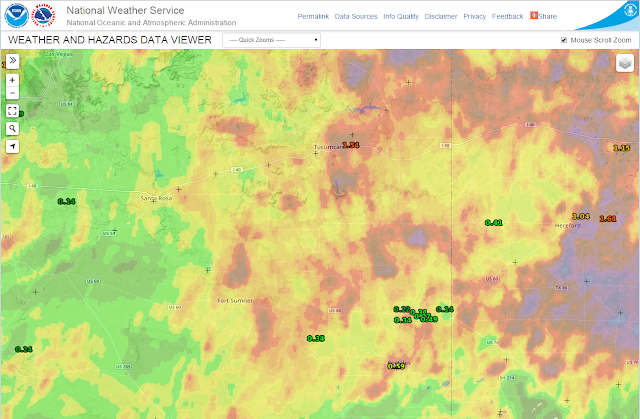 (As Of 4:53 AM MDT This Morning). 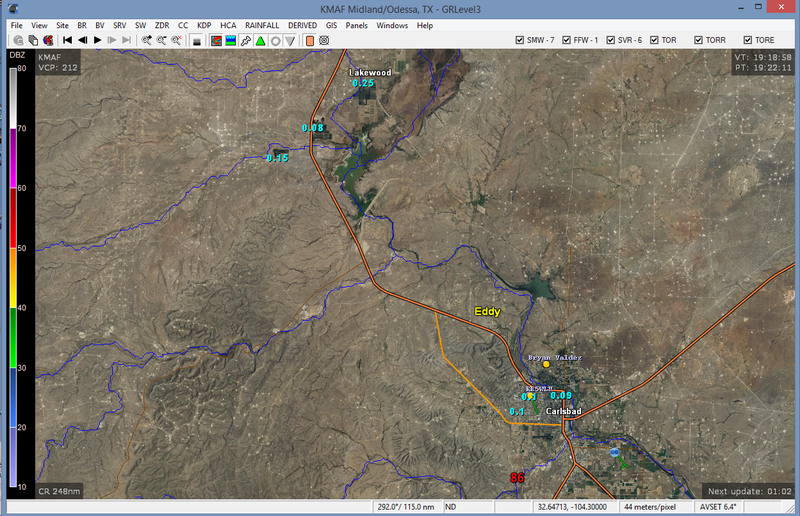 Blog Updated @ 1:28 PM MDT. 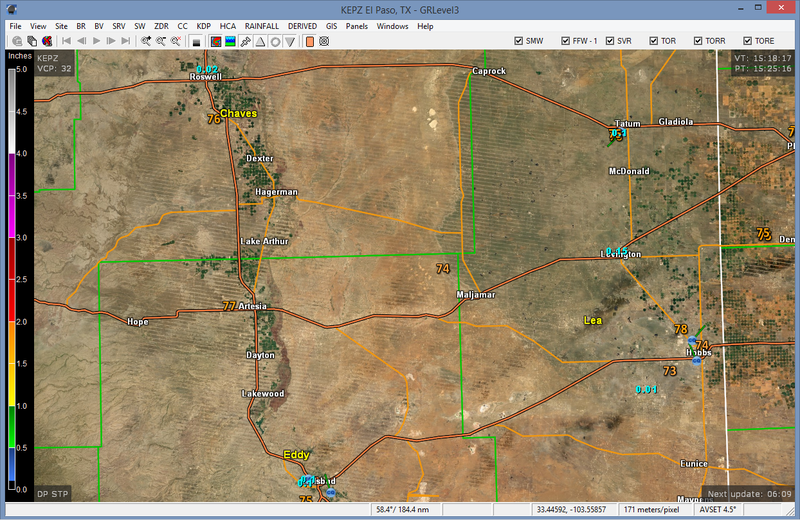 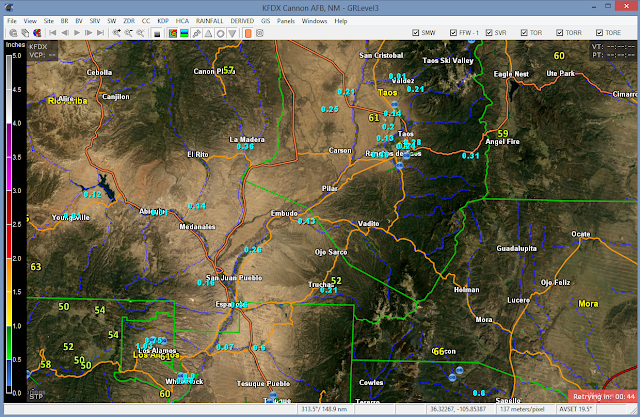 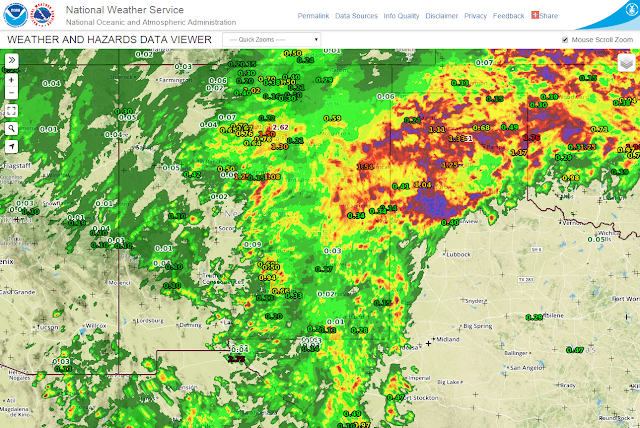 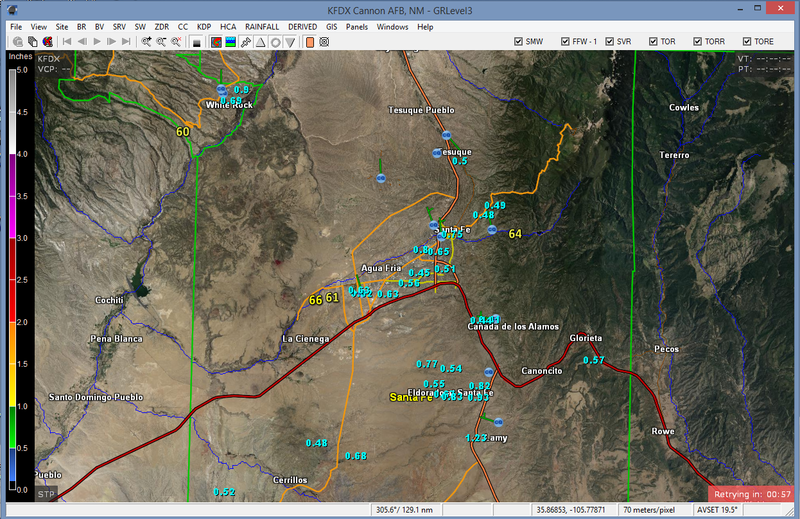 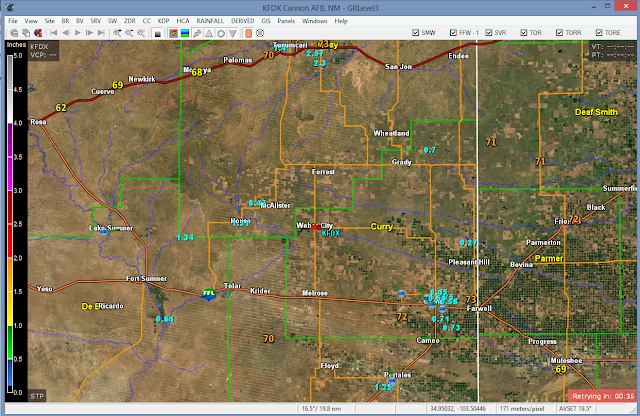 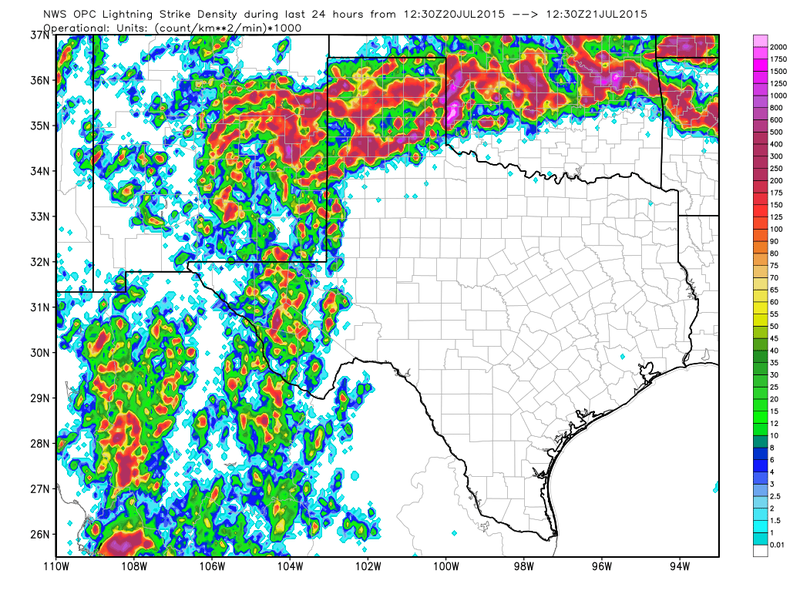 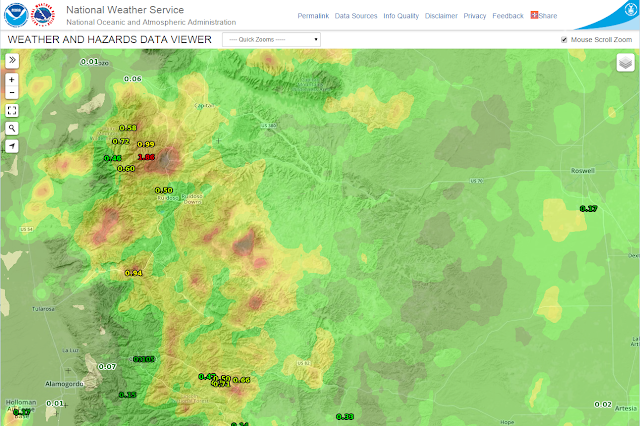 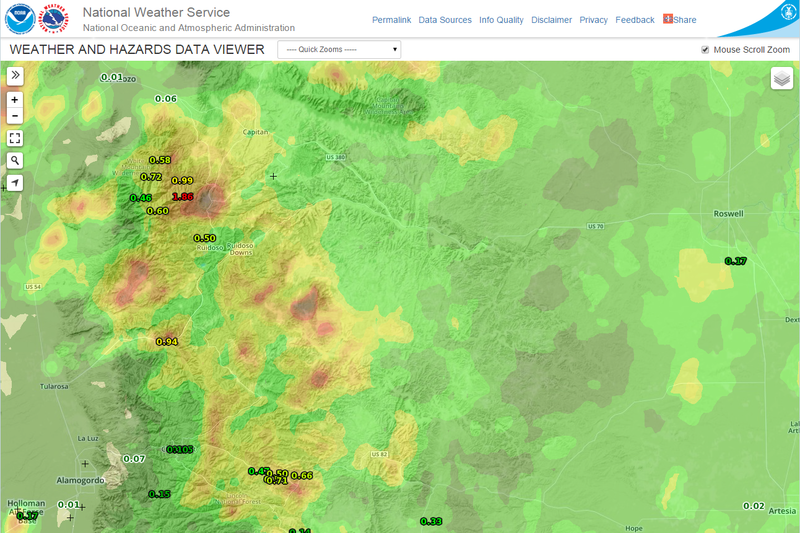 Scattered to numerous rain showers and thunderstorms dotted the landscape of New Mexico over the past 24-hours. 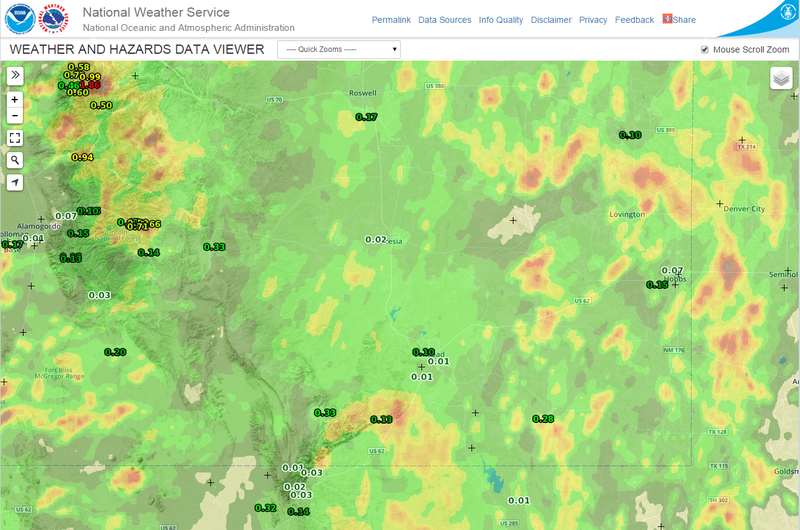 Heavy rains fell in some areas while most of the activity in southeastern New Mexico missed the known rainfall reporting network gauges. 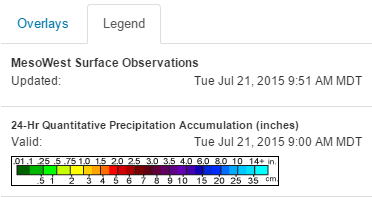 Another active day and night is forecast for the local area today into tonight. 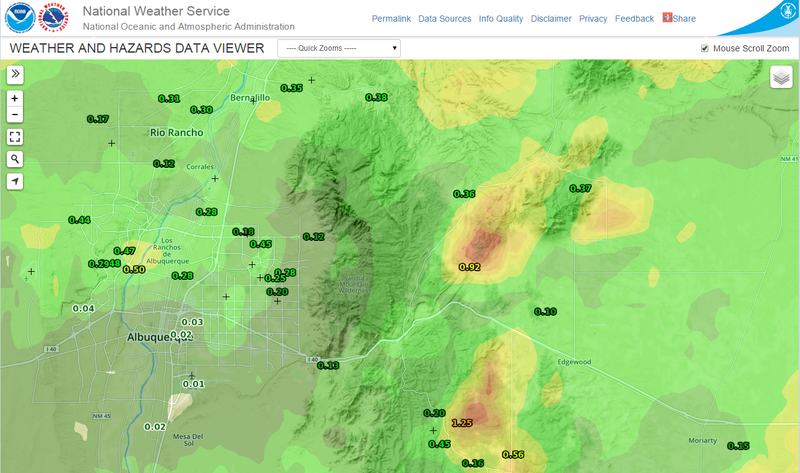 (And Radar Estimated Rainfall Totals). 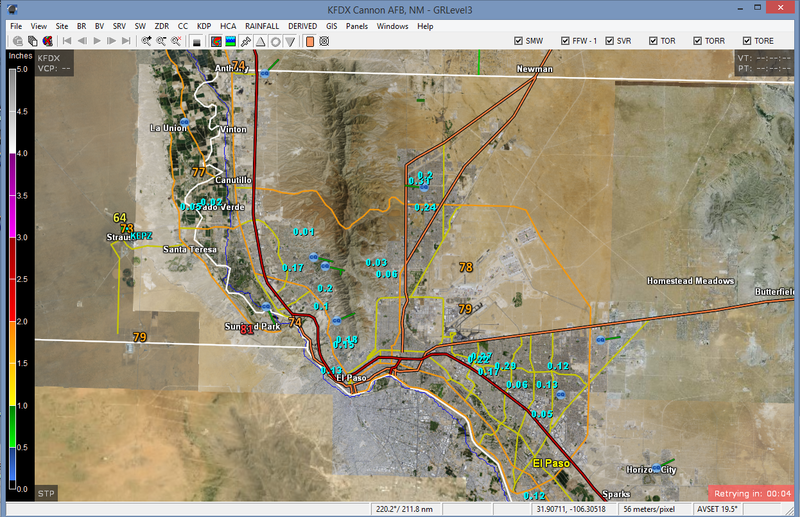 Here is something new also. 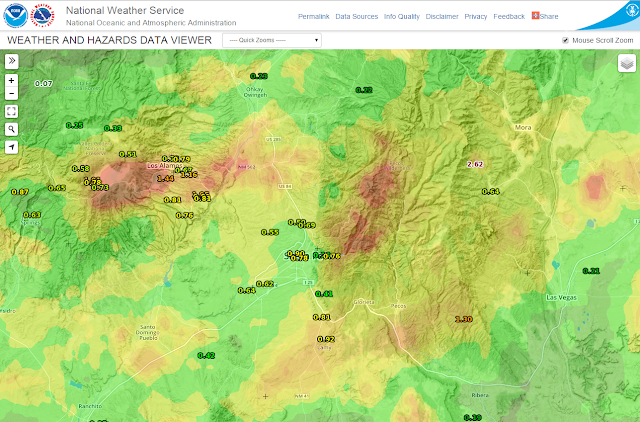 These are the 24-hour NWS MesoWest actual reported rainfall totals from across the state, along with the 24-hour radar estimated rainfall totals. 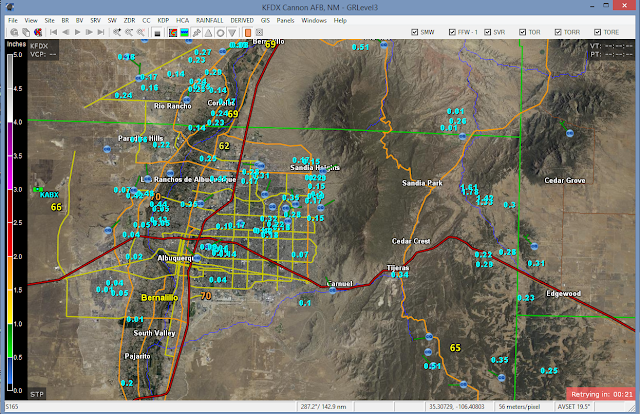 Use the legend above for the radar estimated rainfall totals. (As Of 9:30 AM MDT This Morning). This is something new. Take a look at the light blue colored values on the maps above. These numbers are the 24-hour CoCoRaHS rainfall totals that are imposed upon the GRLevel3_2.00 radar software maps across New Mexico. 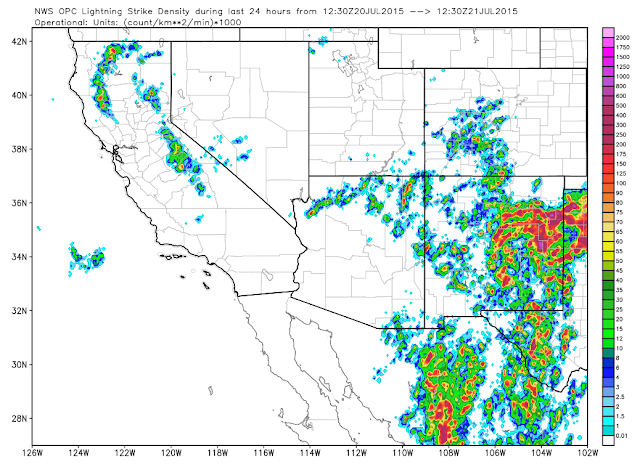 (6:30 AM MDT Yesterday Morning - 6:30 AM MDT This Morning).